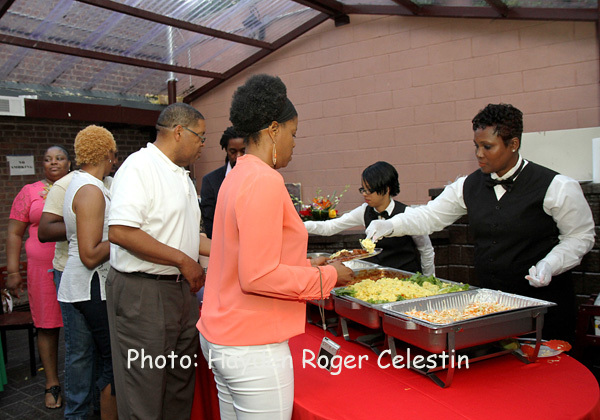 News Americas, BROOKLYN, NY, Fri. June 20, 2014: The first ever Caribbean Restaurant Week in the New York Tri-State Area, kicked off on Friday June 20, 2014, at D’Savannah Bar and Lounge, on Flatbush Ave, in Brooklyn, New York.Invited guest lined up for a tasting of the menu, at D’Savannah Bar and Lounge, as Caribbean Restaurant Week Kickoff. 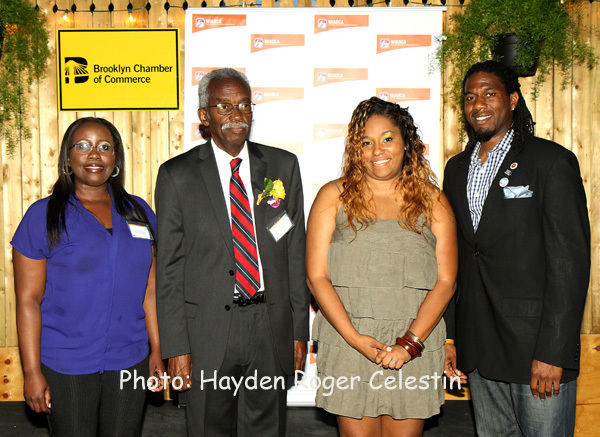 The West Indian American Day Carnival Association (WIADCA), producers of the New York Caribbean Carnival on Labor Day and the Brooklyn Chamber of Commerce partnered to produce the first Caribbean Restaurant Week in New York from June 22nd – 28th. Participating restaurants will showcase the many cultures and cuisines that originate in the Caribbean. Foodies can discover a multitude of bold and bright flavors including delicious callaloo, griot, roti, stewed or jerk meats, and ice-cold beverages featuring Caribbean fruit and rums. Over 29 restaurants across New York City are expected to participate and they are listed below. “New York City is rich in Caribbean history and culture, and we look forward to supporting and promoting Caribbean restaurants in our area,” said William Howard, WIADCA’s President. Caribbean Restaurant Week is one of the many activities marking Caribbean History month, which is celebrated annually in June in New York. Other 2014 Caribbean Month events include a Mas workshop (teaching Carnival costume design), a Caribbean Heritage Month Presentation for high school students, and the “Make Music New York Concert” at Ronald McNair Park. Among those in attendance at the kick off were Milissa Chapman, Vice President, Government and Community Relations, Brooklyn Chamber of Commerce; William R. Howard, New President of WIADCA; Natalie Lamming Scott, Owner of D’Savannah Bar and Lounge; and Jumaane D. Williams, Councilman for the 45th District, Brooklyn, New York.